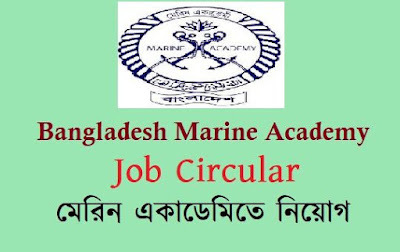 You Searched for Bangladesh Marine Academy Job Circular 2018, that's why you are here. The Bangladesh Marine Academy (BMA) is a maritime training institution of Bangladesh situated in Chittagong division. BMA provides practical training to the students for the merchant ship. On 14 December the authority published a new job circular. There are only eight vacant posts in the job notice. The posts name are Instrument Operator, Refrigerator Mechanic, Store Keeper, Groundsman and Swimming Pool Attendant. The age limit is 18 years to 30 years. Educational qualifications for these post is Eight-Pass to B.S.C Pass. The salary range is 8250 Taka to 30230 Taka. Post Name: Instrument Operator, Refrigerator Mechanic, Store Keeper, Groundsman and Swimming Pool Attendant. You have to apply by handwriting, so you don't need to download any form. Just download the circular from here. 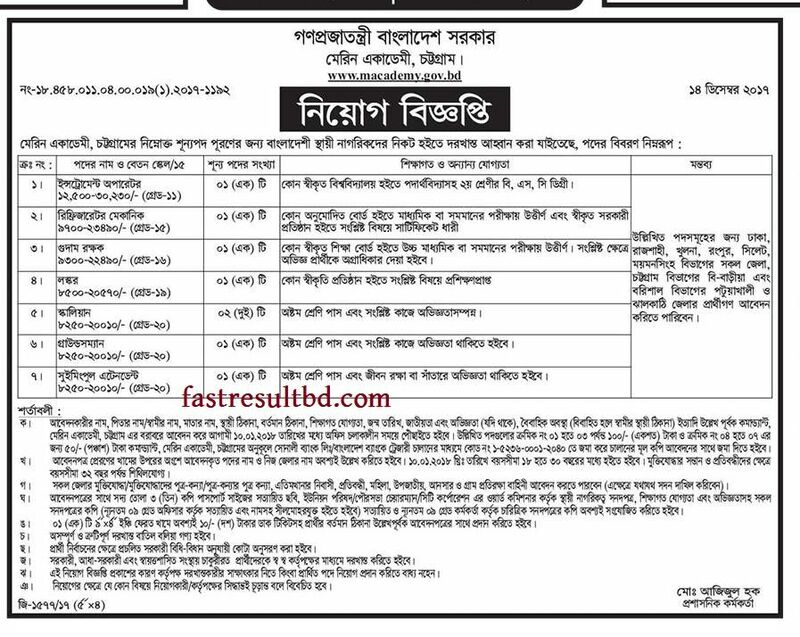 You will have to do this job in Chittagong. If you are interested in a smart job, you can apply for this opportunity. BMA was established in 1962 and situated by the Bay of Bengal. For this-this is a good working environment. If you like our post, please share with your friends. Follow our Social Media to get new jobs news.